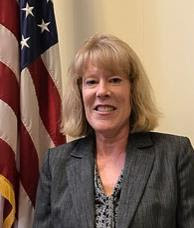 At the May 18th special meeting the Clarkstown Central School District Board of Education voted unanimously to appoint Mrs. Lynn Rafalik as the District’s new Assistant Superintendent of Special Education and Pupil Personnel Services. She will assume her new leadership role effective July 1, 2017 and will receive an annual salary of $180,000. Ms. Rafalik has devoted her entire career to the area of Special Education and Pupil Services and has been instrumental in leading and working on district and building-level initiatives focused on school improvements, programs and services for students. She is currently the Executive Director of Pupil Personnel in the Hendrick Hudson Central School District. In addition, she has served as a Special Education Teacher, School Counselor, Assistant Principal, Director of PPS, Assistant Superintendent of PPS, and Executive Director of PPS. She worked in several school districts including Saratoga Springs City School District, Schenectady City Schools, and Arlington Central School District. Ms. Rafalik earned both a Bachelor’s degree in Special Education and a Master’s degree in School Counseling and Advanced Program Certification in Education Administration from the College of Saint Rose in Albany. Ms. Rafalik was part of a rigorous interview process, conducted by a 22 member committee comprised of Central Office Administration, advisory group participants, and the Board of Education. In addition, she led a performance task with an Elementary Special Education Study Group and had the opportunity to tour four of our schools and programs. “The Board of Education is thrilled that Lynn Rafalik has accepted the position of Assistant Superintendent of Special Education and PPS,” said Michael Aglialoro, Board of Education President. “As she stated during the interview process, she is focused on improving academics and social and emotional learning for ALL students. It’s that commitment to students, combined with a breadth of expertise and knowledge, that will complement our administrative team as they continue to drive positive changes in our district. On a personal note, Ms. Rafalik and her husband, George, have two sons, Greg and Geoff, who work in the medical and law professions. She loves spending time with her family and friends and enjoys reading, running, bike riding and playing golf. “I am excited and ready for this opportunity to work with the administration, staff, students and families at Clarkstown,” said Ms. Rafalik at the meeting on Thursday. We welcome Lynn to the Clarkstown Central School District and wish her the best success in her new leadership role.